Designed a new series of TV inset images and Packages for big screen 4K TVs launched in the North American market in 2017. This design was also adopted by European and other markets with some tweaks to meet their local standards. 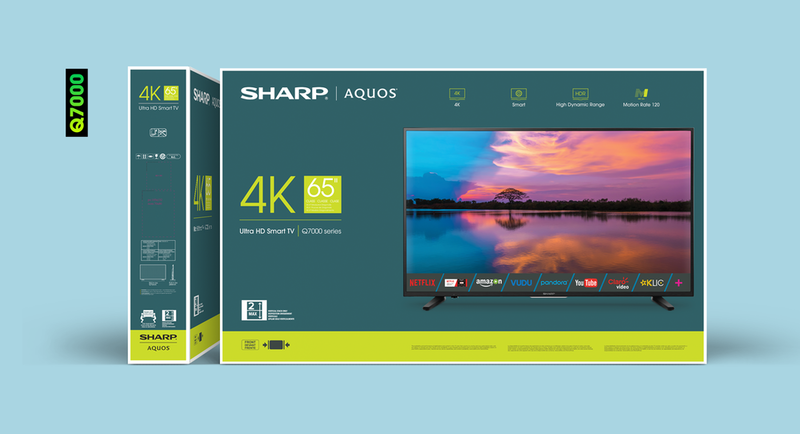 Sharp TV USA is planning to launch 4 series of TV products for the North America Market in 2018. 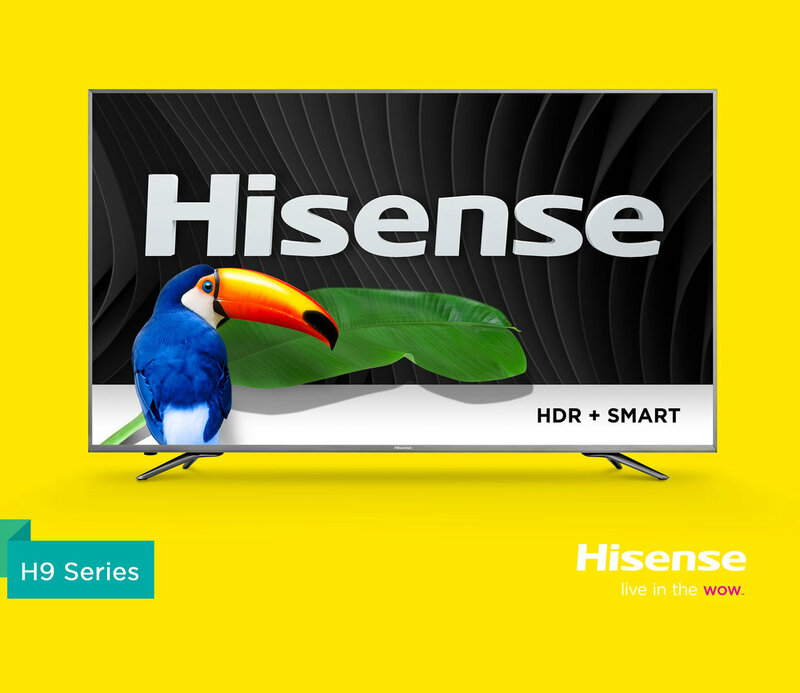 The two lower-end series, Q3000 and Q5000, are Full HD TV. The two higher-end series, Q7000 and Q8000, are 4K TVs. 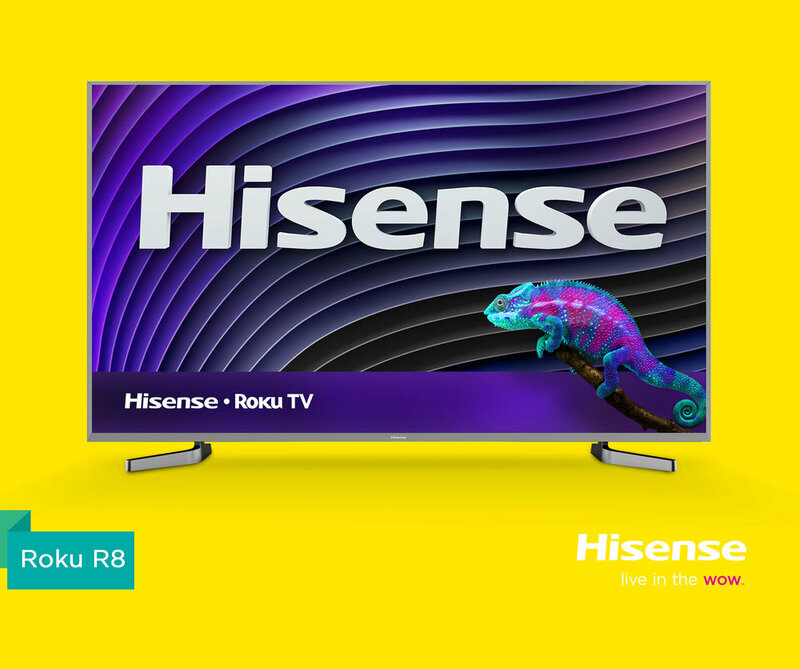 Together with the package, the TV inset images and the branding info system are also planned to make sure that product images can stand out from online retailer's website when placed side by side against competitors.